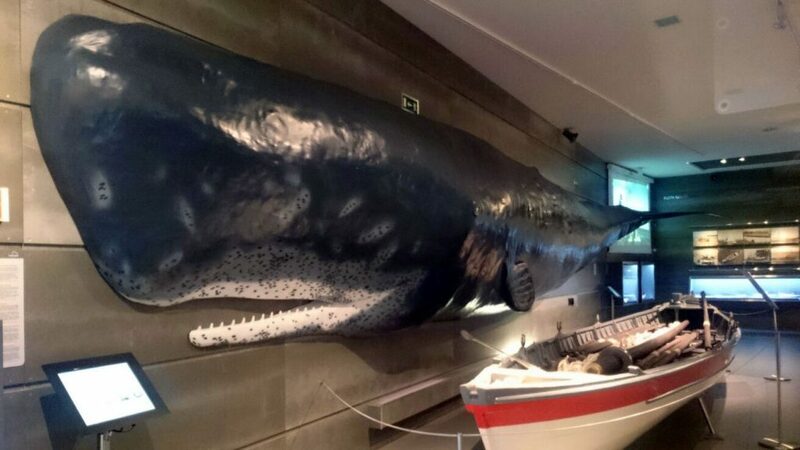 While many visitors prefer to witness sea mammals in their natural habitat, this Whale Museum describes Madeira’s whaling history. Interestingly, whales contribute to Madeira’s economy. However, the relationship changed. First, Madeirans killed whales to earn a living (luckily not as a sport) and now they protect them. Doing so, Madeirans developed a new business; they guide tourists to see cetaceans in Madeira waters. Due to its unique geographical location, Madeira is on many cetaceans’ migratory routes. Many boats and catamarans offer cetacean sighting trips. Two parts make up this museum. The first part talks about Madeira’s whaling history which started in 1941. The second part highlights the various cetaceans living around or passing by Madeira en route to other destinations. So, in the first part, 40 years of whale hunting are documented with pictures, artifacts, videos and audio descriptions. The main floor displays two original whale hunting boats alongside a “to scale” reproduction of a whale – to help with proportions. Every part of the hunted whale was used (oil, blubber, meant, bones, teeth, …). The whaling industry continued until 1981. The second part is optimistically turned towards the future and the conservation of sea mammals. 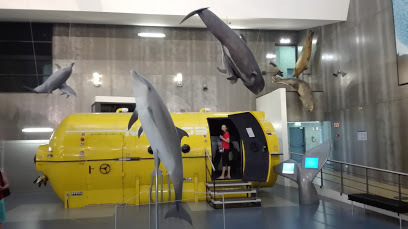 The museum points to various marine research and protection projects. Several full-size whale models are hanging overhead which gives a good idea of their majestic size! There is even a replica of a diving and observation vessel. It is interesting to be able to see inside. Even if the first part of the museum can make one feel a little uneasy, the final note is very positive with the preservation, protection and ecotourism projects. In conclusion, this museum is worth a visit. It is a great escape from the occasional rain drops but it is also very informative even when the sun shines. The tour of the museum is complemented with an audio guide and interactive displays. It is open from Tuesdays to Sundays.